In a press event taking place on Wednesday during Computex 2016 in Taipei, AMD Senior Vice President and Chief Architect Raja Koduri took to the stage and told the press that the company set out to make virtual reality available everywhere and accessible by anyone. 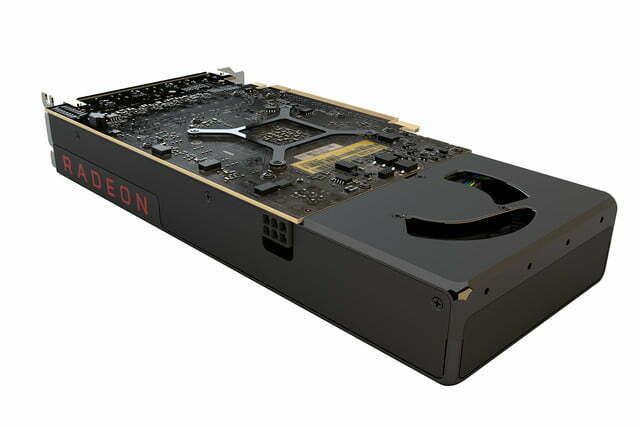 AMD wants to reach the first 100 million customers right now not with a $700 graphics card to be stuffed into an expensive PC, but through a very powerful, power-sipping solution that doesn’t cost an arm and a leg. 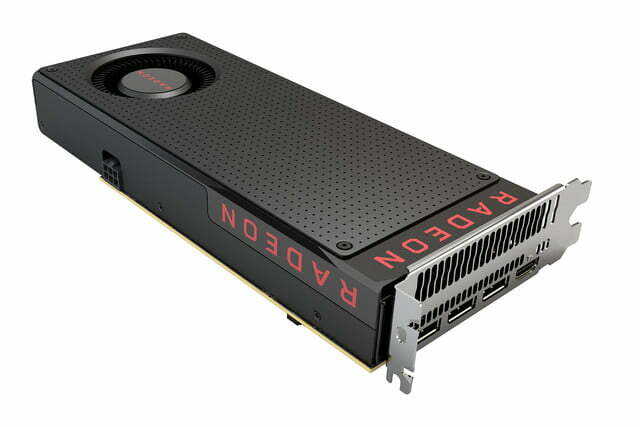 Enter AMD’s “Polaris” graphics platform. 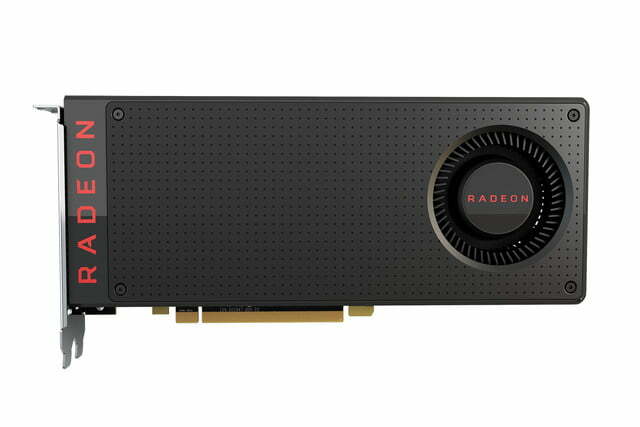 The first graphics card to address this vision is AMD’s Radeon RX480, with a starting price of $200 (for the 4GB edition). This solution not only supports premium VR content found on the Oculus Rift and HTC Vive, but boasts performance of over 5 Tflops, 36 compute units, and a memory bandwidth of 256GB per second. 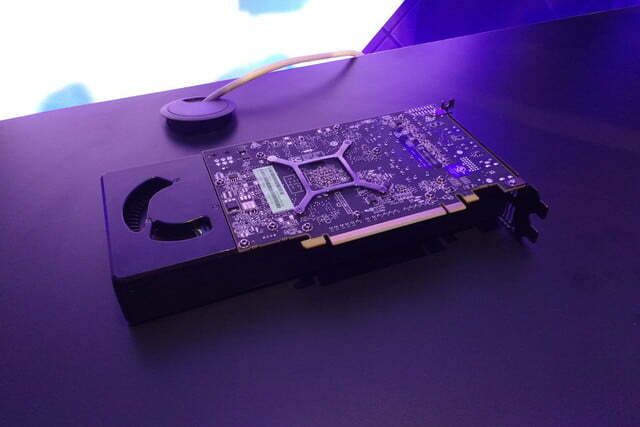 The card will be offered in 4GB GDDR5 and 8GB GDDR5 models with a 256-bit memory interface. 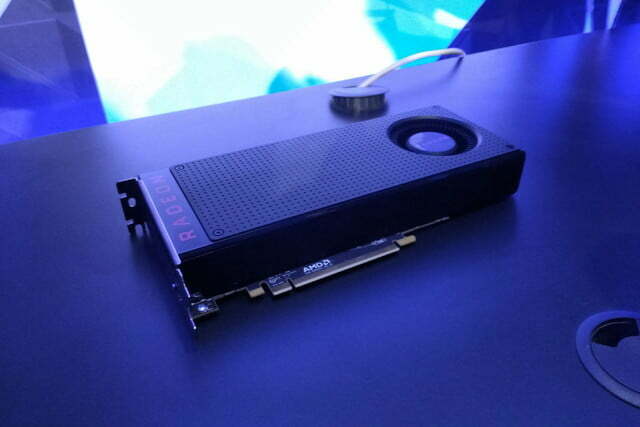 As for other features, the new Radeon card supports AMD FreeSync, DisplayPort 1.3 and 1.4 HDR, and has a thermal envelope of 150 watts. 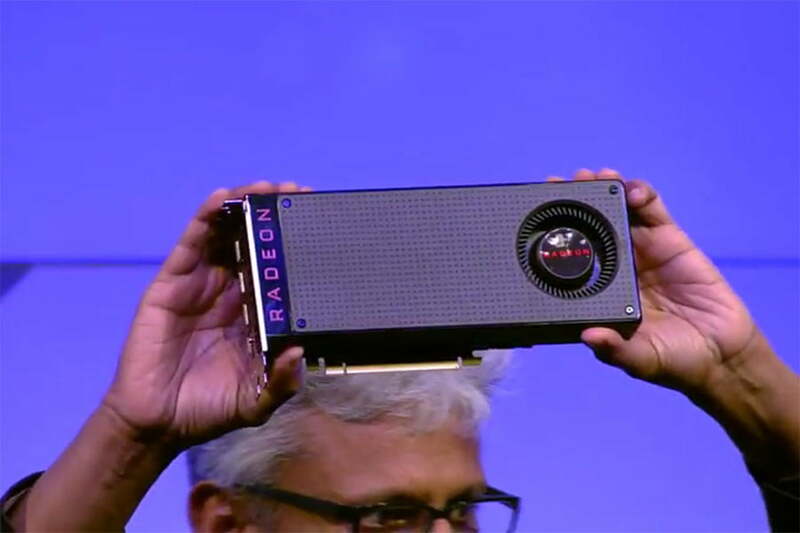 The RX 480 is built using 14nm FinFET production technology. Switching over to a more gaming-focused theme, Koduri said that Nvidia’s new $700 graphics solution, the GeForce GTX 1080, offers premium DirectX 12 performance at 58.7 frames per second in Ashes of the Singularity. 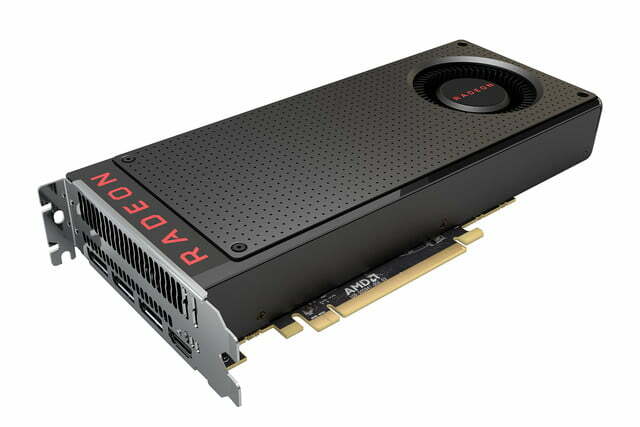 However, two Radeon RX 480 cards in CrossFire mode can crank out 62.5 frames per second in the same DirectX 12-based Ashes of the Singularity benchmark. While that may seem unfair to compare one GPU against two, it’s the price point he’s singling out: the two RX 480 cards combined costs just over $500. 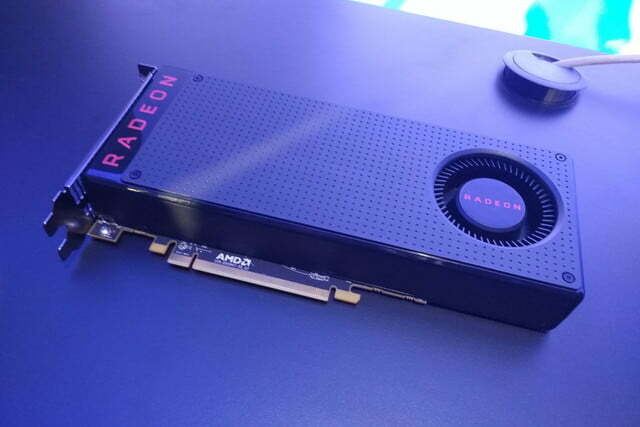 On the availability front, there was mention of a June 29 date for the RX 480 launch, which was later confirmed by an update provided to the press after the conference. 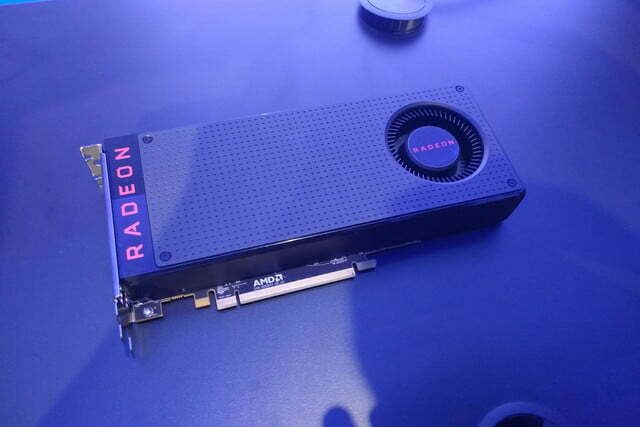 Additionally, the company confirmed in a Q&A session immediately after the presentation that there will indeed be multiple tiers of the RX 480 at different price points, addressing all levels of PC gamers and consumers. These tiers will be defined by varying RAM counts, clock speeds, and cooling solutions. The only other big news coming from AMD’s press conference on Wednesday was an update on its “Zen” high-performance, low-power x86 processor core platform. The first chip to be based on this platform is code-named “Summit Ridge,” and slated for the company’s all new AM4 desktop processor platform. This chip delivers 40-percent more instructions per cycle (IPC) than previous AMD hardware, has eight cores and 16 threads, and is based on FinFET technology. Zen will scale across a number of form factors. This platform will appear first on the desktop, followed by the server market that will begin to see samples in Q3 2016. The notebook market will follow after that along with the embedded market. “Extensive launches” of Zen solutions are expected to be made in 2017, but right now AMD has no confirmed launch dates to dish out for any of its products, and has not confirmed a retail launch in 2016. 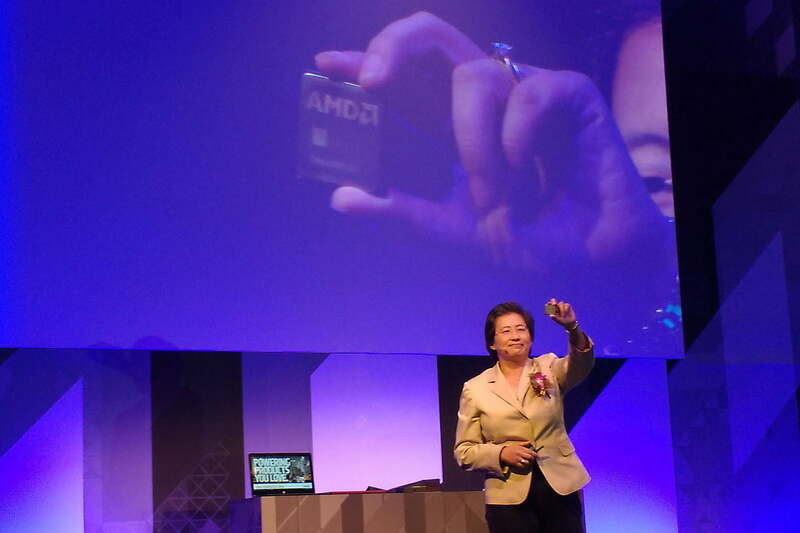 That all said, Zen is definitely “alive” and “on track,” according to AMD boss Lisa Su.